This vintage 1888 mansion opens its doors to weddings, business events, private parties and other gatherings in its nine thousand square feet of refined architectural splendor. 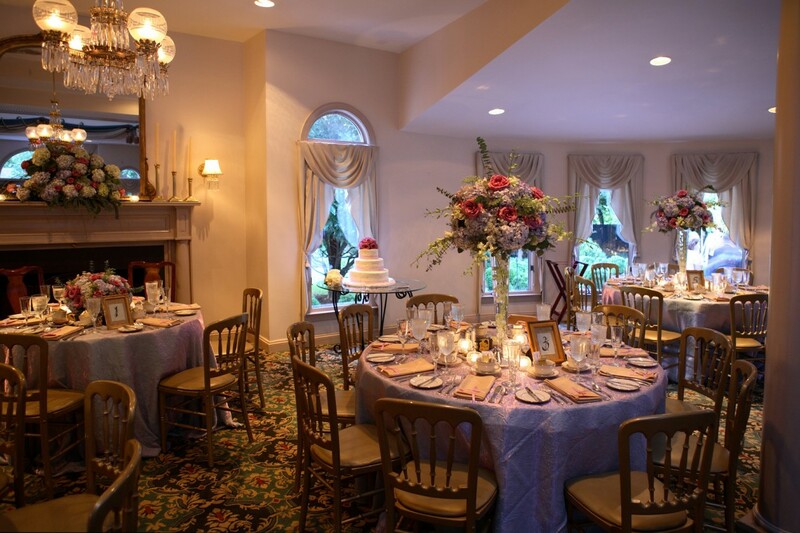 At Ceresville Mansion we are committed to making your event enjoyable, memorable and successful. We encourage you to enjoy the process of planning your special day. As you begin making plans, please consider Ceresville Mansion and its staff at your service. Our Event Planners are here to assist you as you prepare for this most important day. They are highly experienced in attending to every detail necessary to make your event perfect! We advise, coordinate and supervise the many small, but important details that will make your event unique. Our commitment to “attention to detail” will dispel much of the anxiety clients can experience prior to their event. It will be our pleasure to show you how Ceresville can make your vision of a perfect wedding day, banquet, employee picnic or bar mitzvah party come true. “Best of Frederick”, Best Reception and Event Venue, voted by the readers of Frederick Magazine since 1998! The Ceresville Mansion, built in 1888, was once a part of a large land grant known as Dulaney’s Lot which was surveyed and divided into several parcels in 1724. The Ceresville tract was acquired by General Otho Williams some time in the 1780’s as reparation for his service to the Revolutionary War effort. General Williams constructed the Ceresville grist mill, the original Mansion house and a saw mill. Cornelius Shriner purchased the original Mansion house and the grist mill from General Williams in 1816. 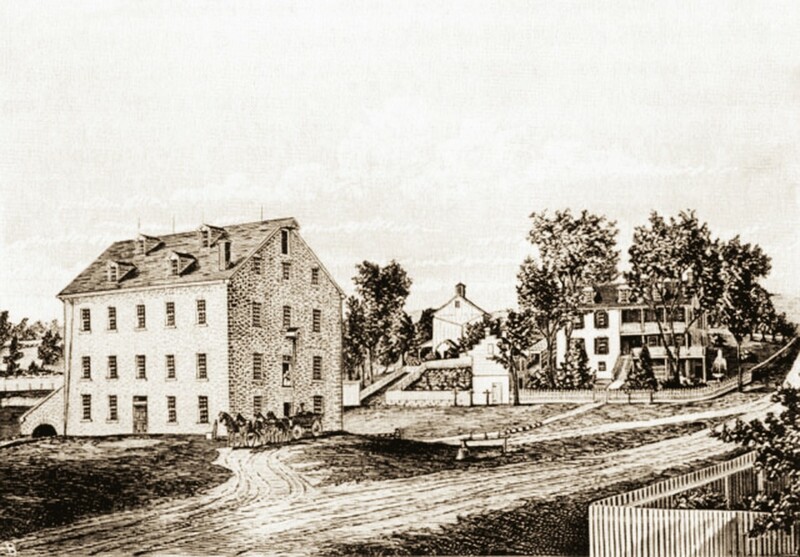 Shriner, with the assistance of his son, Edward A. Shriner, developed the business into the most productive grist mill in the state of Maryland. In its prime, the mill produced sixty barrels of flour per day, all driven by the waters of Israel Creek. The mill wheels annually ground over 100,000 bushels of wheat and 25,000 bushels of hops. Edward A. Shriner built the current Ceresville Mansion in 1888 as a wedding anniversary gift to his wife. The present four story Mansion house with improvements contains 9,000 square feet of finished living space. The twin parlors, elegant fireplaces, and traditional architectural elements are all in their original condition. Ceresville Mansion remained in the Shriner family until the early 1930’s, and the Mansion had always been a private residence until the current owners transformed the existing house into its current use as a setting for weddings, banquets, business events, picnics, and private parties. Several of the Mansion’s former owners were known to have entertained often, and the current owners have met hundreds of people who were guests at parties and other events at the Mansion dating back to the late 1920’s. Retaining the original elegance and beauty of the Mansion is the foremost concern of the current owners. We hope that the Mansion will become a Frederick County institution and that thousands of future guests will have fond memories of their experiences at the Ceresville Mansion.